The Castle is made of light!! So when it appears bright and illuminated as the sky turns to night, I read a blessing and count the day of the omer!! The days counting up from Passover to Shavuot are very exciting. The commandment to count the Omer comes in the reading portion we are in this week! In the counting, it is so wonderful to realize the living cycle of God's calendar and feasts, and honor and marvel in His exquisite timing and eternal plan. The count each day and the blessing are made when the sun goes down, just at night fall or any time after night fall. 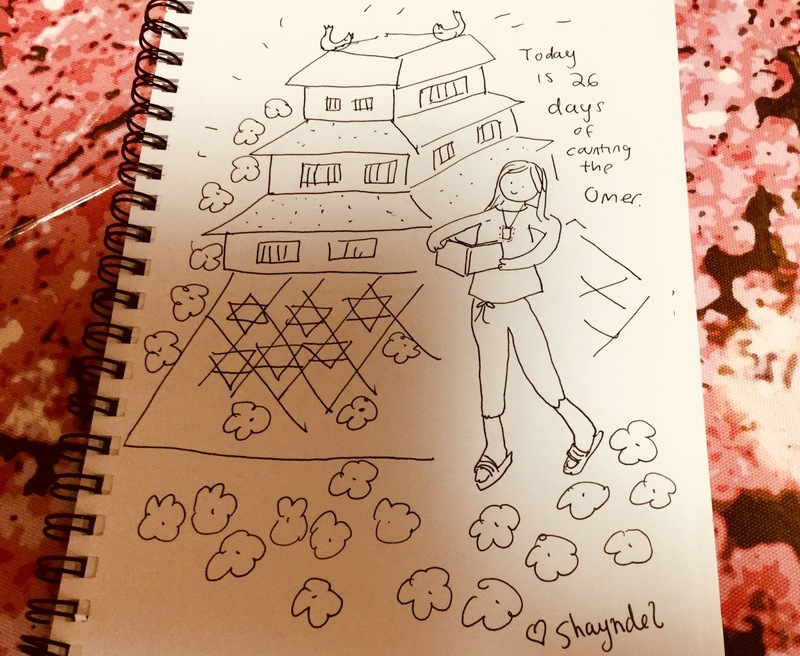 Today is 30 days, which is four weeks and two days of the Omer! May the LORD be gracious to us and and bless us. May He make His countenance shine upon us forever, that Your way be known on earth, Your salvation among all nations. The nations will extol You, O God; all the nations will extol You. The nations will rejoice and sing for joy, for You will judge the peoples justly and guide the nations on earth forever. The peoples will extol You, O God; all the peoples will extol you, for the earth will have yielded its produce and God, our God, will bless us. God will bless us; and all , from the farthest corners of the earth, shall fear Him. Accept our supplication and hear our cry. You who knows secret thoughts. Thank you Shayndel. This is very helpful. Thanks too for the link which I will check out when I have a bit more time. Blessed week ahead to you! Counting of the Omer is ok with me, but the Lag B'Omer festivity (on the 33 day of the Omer counting) - not. I don't like the lighting of the bonfires; it's just too dangerous despite precautions taken. HI Duta, I can understand that. I didn`t know much about the Lag B`Omer festivity. I pray that it will be a safe time and a peaceful holiday on Lag B`Omer.